Kimberly Sims will serve on the Membership Committee of Attorneys Serving the Community (ASC) in 2016-2017. ASC is a dynamic volunteer organization of over 400 women lawyers and law students from the Dallas/Fort Worth area, whose mission is to bring together women lawyers to support local non-profit organizations whose programs benefit women, children or families. ASC is also committed to providing its members with leadership and networking opportunities as it carries out its primary mission of serving the community. Each year, ASC presents fundraising events that support its selected beneficiary: a luncheon, a silent auction and a family fun run (“Heart & Sole 5K”). ASC’s annual benefiiciary receives not only all of the money raised by the events, but also enjoys increased public awareness of its services. ASC’s beneficiary for 2016-2017 is Junior Players, providing free after-school and summer arts education programming to over 7000 North Texas K-12 students each year in underserved areas of the community. Junior Players’ programs promote intellectual growth, mental well-being and independent life skills — in short, Junior Players transforms lives. AATC is a non-profit that supports and advances the business interests of more than 1,400 multihousing owners, managers, developers and related suppliers who own, manage and/or provide products and services to more than 180,000 apartment homes in a nine-county region of North Texas. An Ex-Employee has filed a Dubious Claim with Your Professional Board. Now What? Every medical professional must meet strict criteria for patient care. If there is an allegation of substandard care – whether it proves to be true or false – a board, composed of unbiased and knowledgeable professionals is charged with investigating the actions of the responsible practitioner. In the case of dentists and orthodontists in Texas, that board is the State Board of Dental Examiners. The challenging job of investigating substandard medical care is made more difficult for this board when the claim originates from a disgruntled ex-employee because it may not be valid. When this situation occurs, a dental practice owner must make a business decision about retaining legal representation for these administrative proceedings. Nathanial Martinez, of the Dallas-based law firm of Palter Stokley Sims PLLC, specializes in representing dentists and orthodontists in cases before the State Board of Dental Examiners. As such, he has valuable insights about navigating this often frustrating process. “In most cases, false accusations made by an employee to a professional board are an attempt at retaliation by the employee as a result of some adverse action taken by the employer,” Martinez noted. “In the case of a dental practice, this may occur if the managing dentist puts the employee on probation, penalizes them in some other way, or terminates the employee. “An owner of a practice must take every claim seriously and conduct a thorough investigation of the claim, even if the owner believes them to be false,” he said. “It is important for dentists to keep detailed records of every patient they see, in accordance with the generally accepted procedures for patient care in their profession. For dentists and orthodontists, there are standards for maintaining patient records and they must ensure that they are honoring those standards in everything they do. 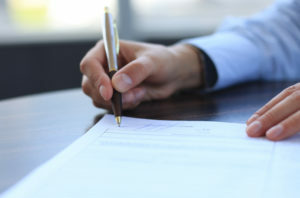 “If an employee leaves, the practice owner should send a letter to the employee reminding them of their obligation to keep patient records confidential. It is important for the owner of the practice to keep thorough records on every patient they see and the recommendations which are made. It is also important for all staff to be trained appropriately and aware of the standards of care. “Basically, before any claim is brought to the professional board, the owner of the practice must be able to show and demonstrate clearly that the claim is false,” Martinez said. “In the context of the (Texas) State Boa rd of Dental Examiners, when this board receives a complaint they must take it seriously,” Martinez said. “They are required to investigate every claim made. “When a dentist or orthodontist receives notification of a claim, it is important for them to retain an attorney who should then reach out to the board and immediately advise the board of this representation. I recommend they retain an attorney who has experience in navigating the various procedures of the professional board, because this will allow the practice owner to stay focused on their business. Retaining an attorney will also ensure a timely response to any inquiries by the board. You would be surprised at how many deadlines a busy dentist might miss simply because he or she has too much on their plate,” he said. “It’s important to remember that the actions of board are not inherently adversarial. It may ‘feel’ that way because the dentist may be responding to a false complaint which is being filed by a former employee. Unlike a lawsuit, where all parties examine the complaint and charges, complaints filed with a professional board are not typically examined by the practice owner. The professional board is very cautious about the information it discloses to the parties involved with the claim. The objective of the board is to determine whether the standards of care have been met. “The procedures of a medical professional board are very different from that of a lawsuit,” Martinez said. “These are all administrative, are governed by the rules of the state board and have their own policies and procedures on how these claims are investigated. These proceedings are all public, but the information received from the dentist is completely confidential because this is patient information. “It’s important to retain an attorney for this appearance before the board for several reasons. The practice owner needs an attorney who is experienced in dealing with the board and the investigators for the board. These investigators are going to be the ‘eyes and ears’ of the practice owners as the claim moves through the system. This is somewhat of a long process and keeping up with this can be onerous for the dentist. By hiring an experienced attorney, the dentist can continue to focus on his or her business while this process continues. “There are attorneys, myself included, who specialize in this type of work,” Martinez noted. “We enjoy dealing with administrative boards and this is the type of attorney a practice owner should retain. “The criteria for choosing an attorney should include someone who has had experience in managing these types of cases before dental or other professional boards. It’s important to remember, the investigators for the board are typically long-term employees, and an attorney with an existing business relationship and professional rapport with them can speed the process along. “Another important consideration in choosing an attorney for this specialized proceeding is to find a lawyer who will not be confrontational or adversarial with the board. In this type of situation, where the board is just trying conduct an investigation, having an attorney who is cooperative with the board – someone who is doing everything he can do to help discover the facts – will go a long way towards debunking a false claim. This information is not intended as legal advice. If your dental practice has been notified of a claim filed by a former employee before the State Board of Dental Examiners and you are considering retention of legal representation, contact us for more information. According to the Kaiser Family Foundation, there are 210,030 active dentists in the United States, with 15,050 of these practicing in Texas. While there are some larger dental practices with several dentists, by and large, most of these practices are owned by one or two dentists, making them archetypical small businesses. While dentists are highly trained in oral health, most are not trained in the day-to-day running of a business and they often learn the grim realities of this challenge when something like human resource issues arise in their practice. In situations where one dentist purchases the practice of another dentist, these HR issues can become contentious and even result in lawsuits. Hopefully, before the situation deteriorates to this level, the owner of the practice has engaged an attorney such as Nathanial L. Martinez of the Dallas-based law firm, Palter Stokley Sims, PLLC who specializes in legal issues associated with dental and orthodontic practices. “Within the dental practice, the typical scenario of workplace friction caused by inherited employees occurs when a young dentist decides to buy a retiring dentist’s practice,” Martinez notes. “In most cases, the new dentist will inherit the staff of the retiring dentist and must adapt to that existing staff. The best approach to handling this or any other HR problem is to prepare for it in advance. “I think it was Ben Franklin who said, ‘an ounce of prevention is worth a pound of cure.’” Martinez said. “Long before a dentist decides to buy a practice he or she should learn about the staff they are inheriting. They should try to meet with the staff and get to know them. “They should also set expectations for an open relationship and have a good dialog about the practice with the staff. This will go a long way in avoiding the potential friction with the inherited staff,” he noted. “If, however, the dentist buys the practice and experiences this friction, there are a number of non-legal approaches that can be taken to resolve this issue if an employee doesn’t want to be a team player. “First, a dialog should be created with this employee and expectations should be set early in the relationship. I recommend that the new owner of the practice either creates a different HR policy manual or makes some amendments to the existing manual. They should review these policies and procedures with their attorney and attempt to ascertain new policies and procedures which can be put into place to help alleviate the tension and friction that is occurring. “Having a team meeting is advisable,” Martinez notes. “And having an attorney at this meeting is a good idea. At the meeting, the new owner should introduce his/her new vision for the practice and have each employee sign-on to the new policies and procedures. “Another approach is to manage expectations among the staff and involve the retiring dentist, if possible. If there is a problem with an employee, especially one who has been employed by the practice for a long time, having the retiring dentist get involved by talking to the employee will resolve the problem before the situation escalates. “Like most lawyers, I want my clients to resolve these types of issues before I have to get involved,” he said. “This is because it sets the tone for the office in the future. “If, after numerous attempts to correct this issue, the employee friction continues, termination of the employee must be considered,” Martinez said. “How this termination is carried out is really critical for the small dental practice. If the employee has been associated with the practice for an extended period of time, they’ve made friends with their colleagues, and this termination can cause divisions within the remaining staff. “For all my clients, I recommend they consider a reasonable severance package for the terminated employee,” he noted. “I realize that this is not a popular suggestion, especially when the practice owner feels the employee is causing the problem. However, the most important consideration is that the rest of the staff sees the new owner doing the right thing by the terminated employee. The remaining staff needs to see that the owner is being reasonable. Plus, the owner should document this action, showing that he or she is reasonable with this employee in case they are forced to appear before a state employment commission or court in the future. “A good lawyer can draft termination documents that meet the standards of law and withstand the scrutiny of state employment agencies. Termination, while not ideal, is sometimes the only approach for handling an employee who is keeping the practice from moving forward,” Martinez concluded. This information is not intended to be legal advice. 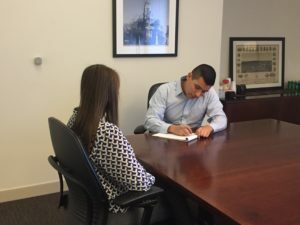 If you are considering buying an existing dental practice or are experiencing friction in your existing practice from a disgruntled employee, Nathanial Martinez of Palter Stokley Sims law firm is a trusted counsel for handling these issues. Click here to set an appointment to discuss these and other legal issues.